#0194-SQL Server-How to get the definition/script for a database object using T-SQL? The moment you would have read the title of this post, you would have thought – “What’s so special in this post?” Well, did you know that there are not one, not two, but at least three (3) distinct methods that you can use to get the definition/script for any database object in Microsoft SQL Server using T-SQL? System tables have already been marked for deprecation in future releases of Microsoft SQL Server. 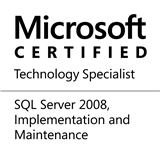 Hence, starting SQL Server 2005, it is no longer advised to use the sys.syscomments system table. One of the drawbacks of using sys.comments is that the formatting of the script may be lost. Another hot favourite – a system stored procedure sp_helptext, returns a fairly formatted version of the script. Here’s how to get the definition for HumanResources.uspUpdateEmployeePersonalInfo. sp_helptext continues to use the sys.syscomments system table. However, the only good thing about using a system stored procedure rather than directly querying a system table is that whenever Microsoft changes the implementation of sp_helptext, any existing scripts that use the system stored procedure would not need to change. The result is as shown below. OBJECT_DEFINITION does not query sys.syscomments, instead directly queries the metadata associated to the database. Given that sys.syscomments is obsolete and should not be used, I believe it would be a good time to compare the two remaining options – sp_helptext and OBJECT_DEFINITION. All is well until the computed columns show up. OBJECT_DEFINITION clearly lags behind sp_helptext in this area. Which method do you use to fetch the object definition? Do leave a note as you go. This entry was posted in #SQLServer, Blog, Imported from BeyondRelational and tagged #SQLServer on September 10, 2012 by nakulvachhrajani. This is great. How do the required permission levels compare for each method? it wont give correct name of the object until we alter the proc. the sample example is below. After refreshing stored procedure folder we can see new stored procedure in the list. **Observation**: Actual proc name is **new** but the result shows as **old** only. Still it showing result with **old** name. Right click on the **verynew** proc and select modify, we get the alter proc script. Execute the statement and run the below query. The content is refreshed and displaying with **verynew** name. @abhIShek BandI: I don’t think there is a drawback. Reason: Renaming a stored procedure using `sp_rename` or by any other method is not recommended by Microsoft ([http://msdn.microsoft.com/en-us/library/ms188351.aspx]). > object with its new name. The ideal way to rename a stored procedure is to drop the old procedure and recreate the new one. in the [definition] column. Why not just query it directly? In the real world, how does this get used? And when you have something big (>8192 characters) things start getting truncated.